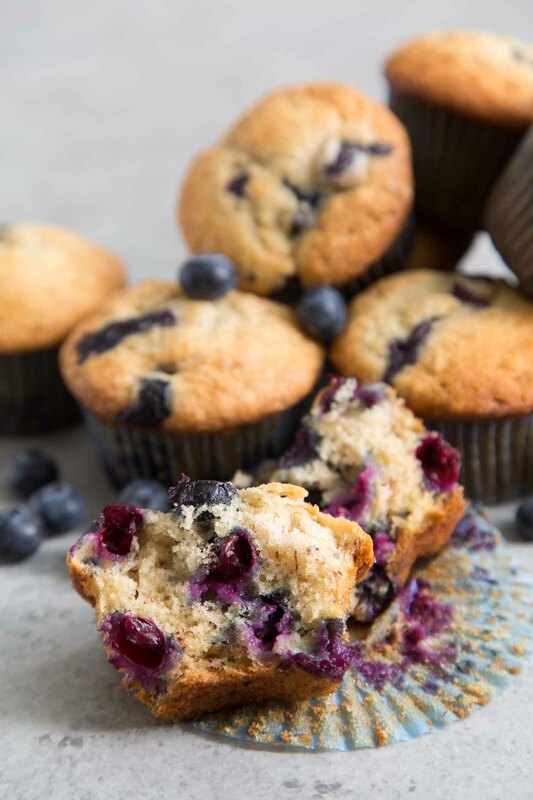 Bursting with blueberries and loaded with mashed bananas, these moist banana blueberry muffins are a great anytime snack! Bananas are a staple in my kitchen. I eat it for breakfast with toast or yogurt, after a workout, or just as a snack. But, too often, I buy more than my husband and I can consume in a week. An abundance of ripe bananas ins never a problem. Once bananas soften and brown, they’re perfect for mixing into baked goods. Instead of the usual banana bread, I used the mashed ripe bananas to add moisture and sweetness to these blueberry muffins. These muffins are super easy to make. You can use a mixer, or simply whip everything together by hand. 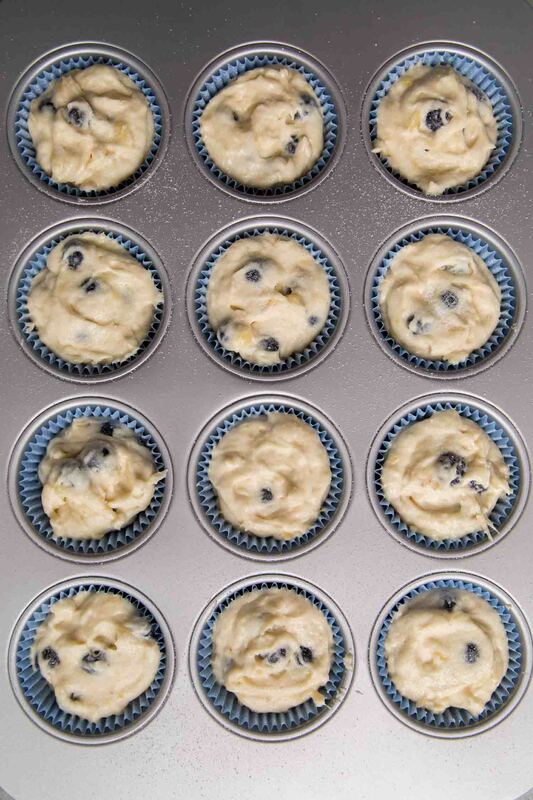 In addition to the fresh blueberries, chopped nuts or chocolate chips can be folded into the muffin batter as well. 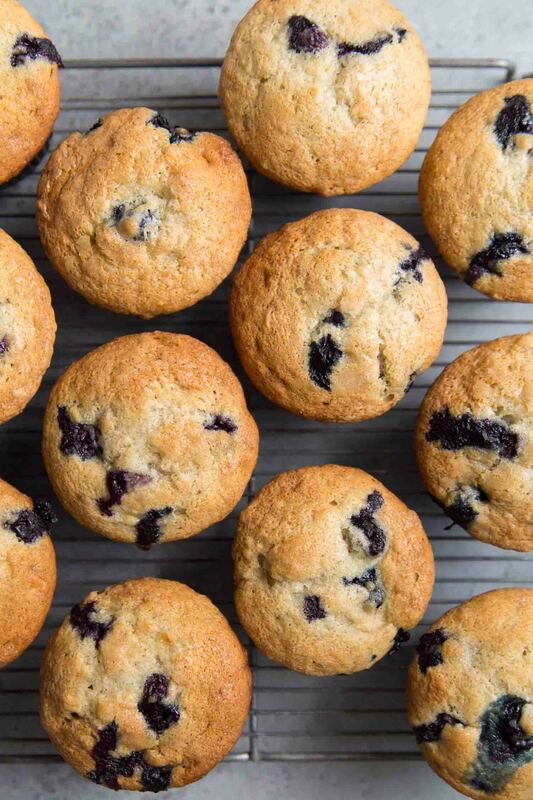 Before baking, these banana blueberry muffins get a generous sprinkling of sugar on top. This provides extra sweetness and ensures that the muffins will bake up golden brown. These banana blueberry muffins are super moist and flavorful. 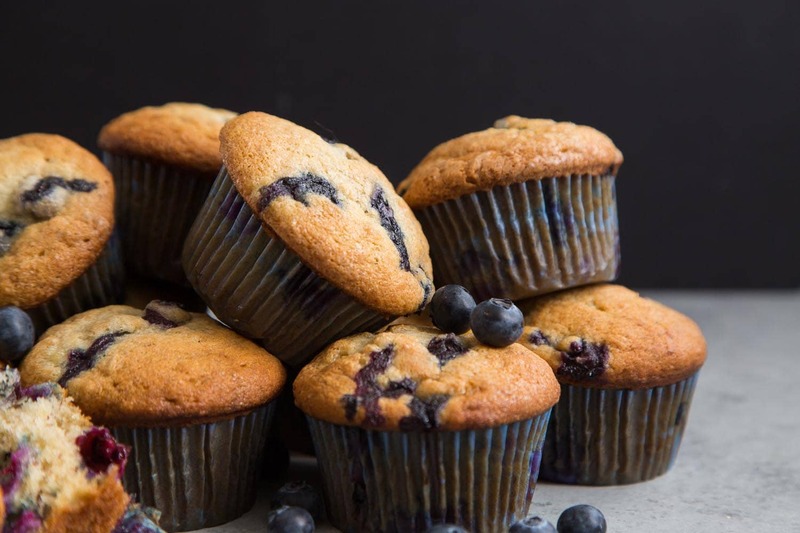 Many of blueberry will burst during baking, staining the muffins with a beautiful violet hue. Enjoy these muffins warm fresh from the oven or allow to cool to room temperature. Baked muffins can be stored at room temperature overnight. For longer storage, it is best to store leftovers in the fridge to prevent mold from forming. Preheat oven to 350 degrees F. Line muffin tin with paper cupcake liners. Set aside. In the bowl of a stand mixer fitted with a paddle attachment (or using an electric hand mixer), cream together butter and sugar until smooth. Add in mashed banana, egg, and milk. Mix until combined. Scrape down bowl as needed. In another bowl, whisk together flour, baking powder, baking soda, and salt. Add to mixing bowl and mix on low speed until there are no longer any dry streaks of flour. Scrape down sides of bowl as needed to ensure thorough mixing. Fold in blueberries until evenly distributed. Divide batter among prepared muffin tin. Generously sprinkle granulated sugar over muffins. Bake for 23-25 minutes until a toothpick inserted in center of muffin comes out clean. Allow muffins to cool in pan for 5 minutes before unmolding. Allow muffins to cool on wire rack. Serve muffins warm or at room temperature. Due to the moisture of the blueberries, I suggest storing these in the fridge. Allow to warm to room temperature before serving, or reheat in a microwave or toaster oven. Muffin batter can also be mixed by hand using a sturdy spatula. Ensure butter has softened to room temperature for easy creaming. Has anyone tried alternative flours like almond or coconut to make this muffins ? If so are the measurements the same or do you need to adjust? I love how simply sweet these muffins are. Plus the idea of repurposing too ripe bananas is something I often do. Yum! Today I going to use one of your Banana blueberry muffins for my grand children’s,these muffins look very appetizing! Thank you very much for let me have. Thanks for trying out the recipe! I hope your grandkids enjoy them!